Getting Out of Debt - Why you are not succeeding! Setting up a budget is just the first step to getting out of debt. For some people with massive amounts of debt, it can be a very long journey to becoming debt free. There are a few common mistakes people make when they are on their debt free journey. These mistakes cause them to make slow progress, in addition to extending their payoff plan. If you are making any (or all) of these mistakes, I urge you to readjust and continue on your journey. Do not let this deter you. Also, do not use this as an excuse to quit. It is a lot of hard work, but you’ll never regret it! Getting Out Of Debt – Don’t Make These Mistakes! This is most frequently seen when it comes to your grocery bill. You know what you should be spending on your groceries (100 per person for the month) but you are actually spending double even triple what you should be. Just because you put the right number down on your balanced budget sheet – does not mean you are going to be successful. You have to actually work – and work hard to keep you and your family on a budget. 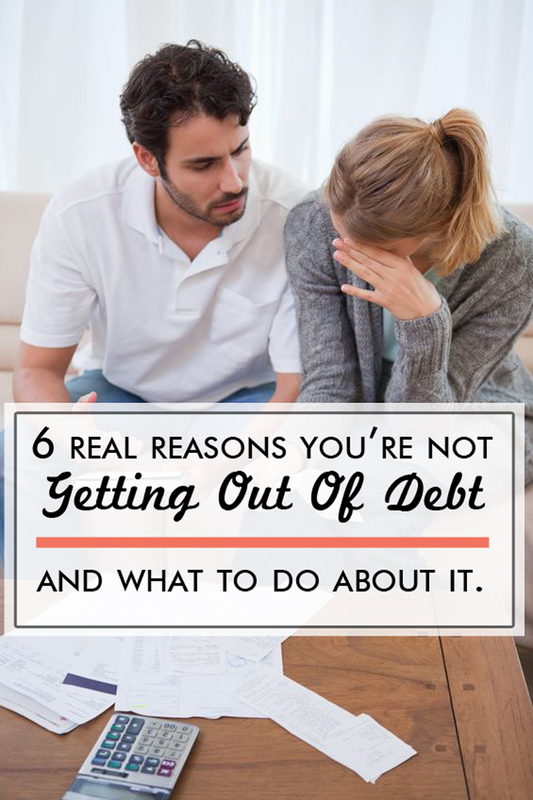 Getting out of debt has a lot of challenges. You probably would not consider making more money to be one of them! But it can be your biggest setback! People set up their Soon-To-Be Debt Free Workbook, and realize that they are in much worse shape than they initially thought. They realize that they need to bring in more money – usually by getting a second job, or if they are bloggers they begin to turn it into a business (see how to do that here). However, once the second paycheck starts rolling in – they realize that they can now make their monthly payments and still have a little cushion (Read: spending money). So instead of using that extra money to pay down their debts so they can quit their second job, they just keep right on spending and make little to no headway on their debt payment plan. I am not saying you need to never get out to dinner again, or that you are forced to drive around in a filthy car. What I am saying instead is that you need to be smarter about these purchases. You will most definitely need to cut back on the frequency of these – or you need to learn to do it yourself!! You can have a clean car, just wash it yourself! A lot of people (me included) struggle with self-control, especially when it comes to toys/gifts for my kids. My biggest weakness is home decor. I have to actively work on this every.single.day. Maybe you are a shopper, you get a rush when you buy a new sweater, or purse, or shoes. You HAVE to figure out how to control and refocus that desire/rush. A first step would be to avoid the stores that cause you to spend your money – you might even have to take a break from some of your friends – especially if they are likely not supportive of you on your journey. I recommend refocusing your that “rush” you feel when you buy something – into paying down debt. I guarantee you will feel just as amazing when you see your principle balances go down on your credit cards, and with a bonus of not feeling guilty after the rush goes away! Really think about how many things you waste in a month. How much food do you toss from your refrigerator because it spoiled before you ate it? Do you walk out a room and leave all the lights on? How often do you turn the water off when you are brushing your teeth or washing dishes? On their own none of those items (except the food) seems like it would amount to a lot of money, but when you combine them you end up wasting a lot of money! That money you are throwing away would be much better added to your snowball payments! 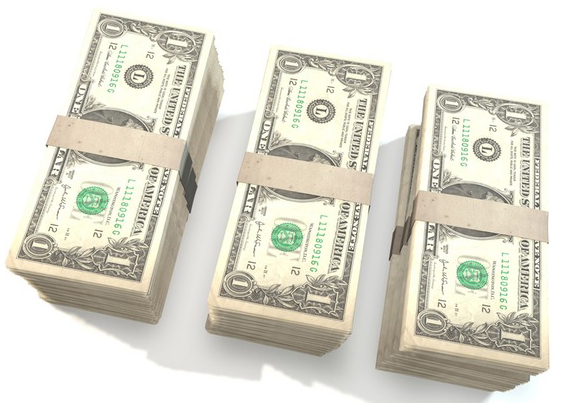 Stop wasting your money – and start putting it to work for you!! Stop leaving money on the table. You need to be calling your insurance company, cable company, credit card and student loan companies. Call them and ask what programs they have available that could potentially lower your monthly payment, interest rate, or loan term. There is absolutely no need to be spending more than necessary! It’s Time To Make A Change – and start getting out of debt! It is time for you to stop wasting your money – time – and years living with debt! It is time for you to work hard on your finances. Stop struggling when it comes to getting out of debt, and start thriving. Everyday! Get the 2019 Financial Planner!, and change your future! Bath time – What you need and what to skip!